*Disclaimer - I received the DVD and DIY kit in this post to facilitate this review. Are you a big Mickey Mouse fan? If you love Mickey Mouse, you'll love this DVD that comes out TOMORROW! 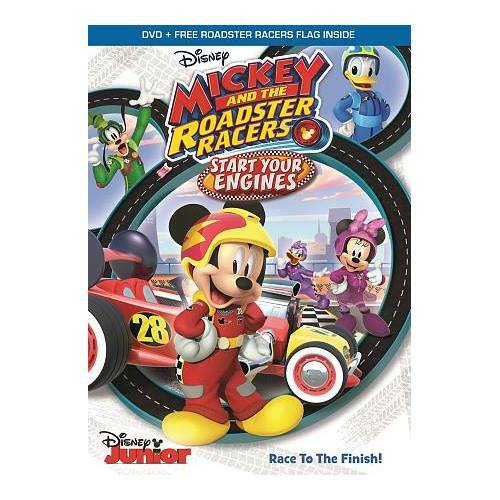 Mickey And The Roadster Racers: Start Your Engines is on the way to Disney DVD this August 15th! This is a really cute movie and will have your kids wanting to watch the whole DVD! Mickey and the Roadster Racers are back with more fast-paced adventures on wheels! Join your favorite characters – Mickey, Minnie, Donald, Daisy and Goofy – and their high-speed transforming Roadsters as they compete in thrilling races stretching from Hot Dog Hills to Hawaii…and all the way to London, England! You’ll meet the world’s greatest spy, zoom through the skies in a revved up hot-air balloon race, and even return the Queen’s stolen Royal Ruby! It’s all about great friendship, teamwork, a little competition and humorous high-spirited adventures! 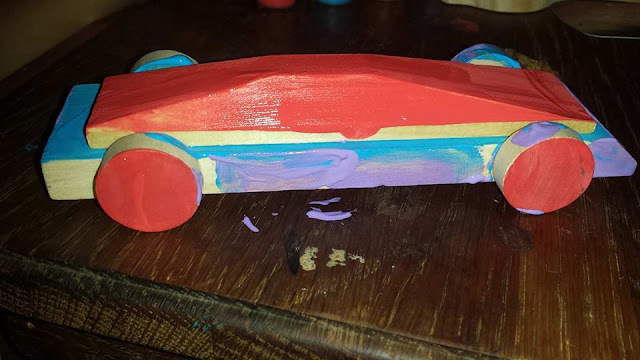 Our kids only got one of the three cars painted and didn't want to add stickers, but I still had a lot of fun helping them with it and the colors are nice and bright! 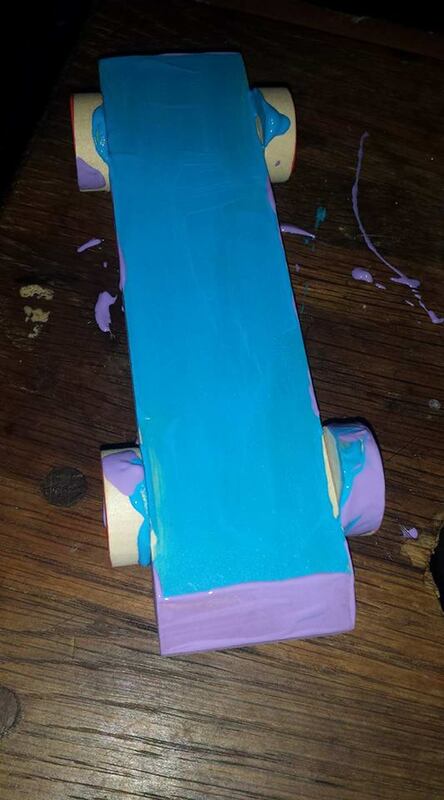 We used light purple, red, and light blue colors for the DIY car for a project with this movie. I love how it turned out and they did it. Our older two are 8 and 9, and are the ones who did most of it with a little help. Looks like they got really creative!